Ian Whittingham MBE was a remarkable man. He worked as a roofer in the industrial roofing contracting industry. In 1993, while at work, he slipped on some roofing sheets and fell 25 feet, leaving him paralysed from the waist down. 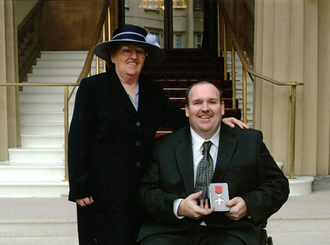 Following his accident, Ian became an avid campaigner for improvements in safety at work. All of Ian's work was voluntary, and he visited workers on numerous sites up and down the country working directly with organisations, training companies, safety groups, trade associations and construction firms. He was closely involved with the Health and Safety Executive's work to make construction safer and has featured in the HSE's construction safety advertising. 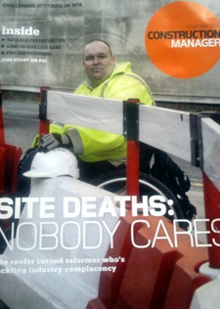 Ian was, without doubt, among the most effective and compassionate communicators in construction safety, and has affected many individuals throughout the country – saving countless lives and promoting the safety message. He believed passionately in his work and was awarded an MBE in 2003 for his services to health and safety in the construction industry. To oversee the award of an annual ‘Ian Whittingham Prize’. The Ian Whittingham Foundation is a not-for-profit organisation.